On Mt. 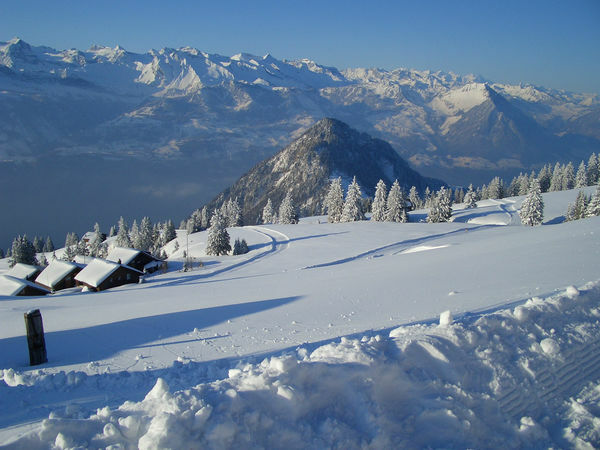 Rigi, cross-country skiers will find a track which has probably the best views in the northern hemisphere. 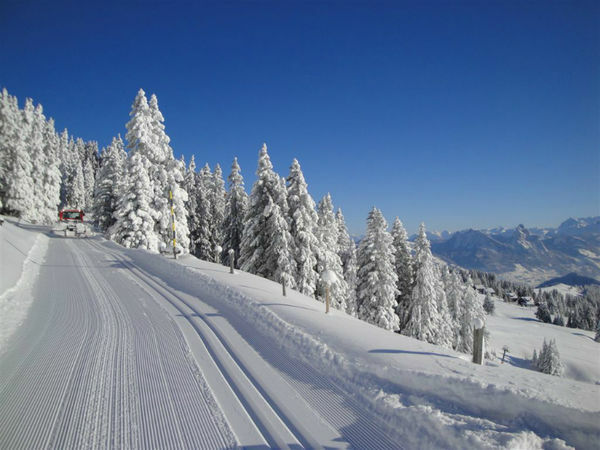 The 7 km long course, prepared for skiing in classic style, leads from Kaltbad to Rigi Scheidegg and follows the largely flat route of the former Scheidegg railway. It starts in Rigi Kaltbad, where there are lockers and changing cabins available. The trail takes you for 7 kilometres via Rigi First to Rigi Scheidegg. The panoramic views of the Alps, Lake Lucerne and the Schwyz valley will keep tempting you to stop for a rest. Maximum enjoyment for body and soul! 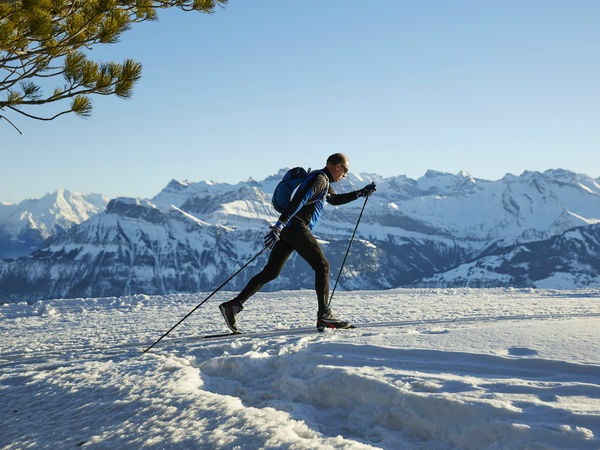 Cross-country skiing equipment can be hired at the sports shop in Rigi Kaltbad. 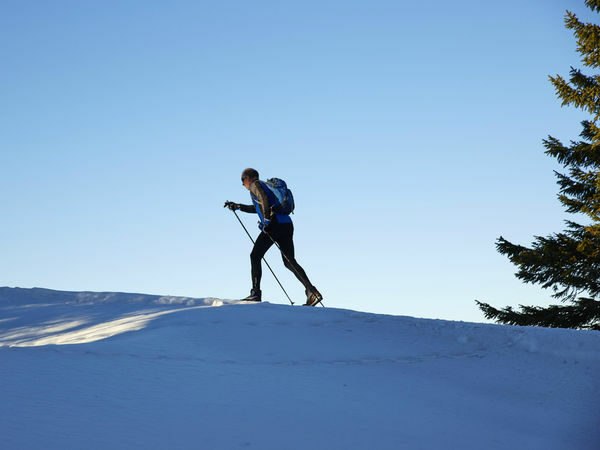 A national cross-country skiing pass gives you unlimited access to cross-country skiing fun on 5,500 kilometres of Swiss trails, and is accepted by all cross-country skiing organisations in Switzerland. 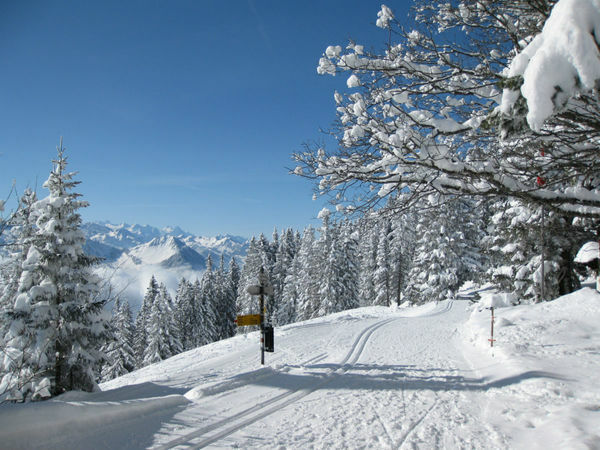 A day pass for cross-country skiing from Rigi Kaltbad costs CHF 6, a weekly pass CHF 40 and a season pass CHF 120. On sale at the Tourist Information Office in Rigi Kaltbad.